The way patches are delivered and applied has undergone a drastic change over the course of years. Earlier, during the days of the traditional fee-licensing software delivery, patches were delivered on external media as stand-alone code modules which would then be added to an already installed software program. But today, in the age of web-delivered systems and cloud-hosting models, it's all different. Patches today can be applied to software programs over the global IP network; they no longer have to be sent on external media. This is the age of automatic addition of software patches and upgrades. A Patch Management software would scan systems and find out if further patches are needed, thereby helping companies ensure if the software programs they are using have all that's needed for full-fledged functioning. In-built categorization allows you to prioritize your patch deployments based on details like severity, vendor or type. Critical patches and security patches can be automated and scheduled to run daily right out-of-the-box whereas, all other patches could be scheduled for the regular periodic maintenance window. Comodo ONE™ Platform enables you to track all changes done through your endpoint patch policies and the latest status of your network. Administrators can generate reports to track the applied patches as well as the missing patches and check the patch procedure details to see the successful operations as well as any failed deployment attempts. The patches are deployed based on the delta between endpoint and latest patch intelligence gathered. When configured on-demand or by policy, the agent applies the relevant updates and patches to create an efficient and fast process. The status of deployment is then updated in real-time in Comodo ONE. Patches can be deployed out-of-the-box or a workflow can be applied to validate them before auto installation. You can run tests on desired systems first in order to approve either single or bulk patches. Once satisfied you can mark them as approved or unapproved. Your automation policies can deploy all patches matching the criteria you defined or only the approved patches matching the criteria you defined per policy. Although Comodo does extensive and deep testing, we also empower our users to perform their own tests. Based in the United Kingdom, XL Pro PC has grown from a builder of custom PC’s back in 2008, to a full managed services provider servicing the IT needs of consumers and small businesses across Halifax and West Yorkshire. With a desire to always keep IT costs in check, XL Pro recently registered for the free Comodo One MSP IT management platform while looking for a stable RMM solution to better service its customer base. "Moving over to a new solution for remote monitoring and management was a vital step for our company's growth but it was also a process we needed to implement thoughtfully with a view to a long term strategy that works for us and our clients. It's important for managed services organizations like ours to keep costs down while also ensuring performance is never sacrificed. The money we are saving on licensing fees and other service costs through the Comodo One MSP allows us to hire more people and better compete for business. Comodo One MSP is an excellent solution that meets our RMM needs. The fact that there are additional features being added to the platform in the months to come allows us to focus on continued growth while also solidifying the customer relationships we have worked so hard to build. Based in Hammersmith, London, 76BITS designs, delivers and maintains IT solutions for customers across South East England, as well as Finland and Thailand. For nearly 20 years, 76BITS has been supporting businesses and helping them make the most of available technology to deliver increased performance, efficiency and reliability - from network design to maintenance and upgrades. "We are a small managed service provider in the U.K. that focuses on serving our customers with the very best IT experience possible - be that computer repairs, maintenance or security. We are currently taking full advantage of the remote management and monitoring module of Comodo One, which enables us to monitor our customers and service them faster. By having access to a proven, free service management tool like Comodo One, we can grow our business by automating tasks without sacrificing service or performance. Convey2Web, LLC is a managed services provider based in Middletown, Delaware serving the IT needs of the community for the past 10 years. 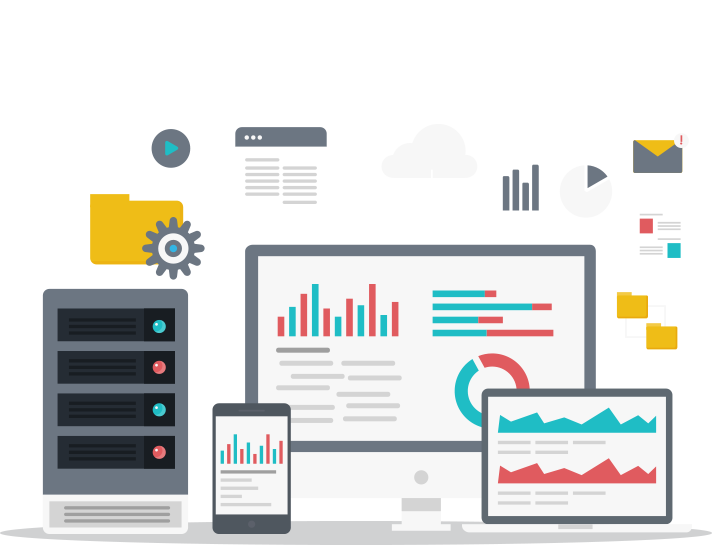 Convey2Web is an end-to-end provider of IT services including on-site and off premise monitoring, as well as web hosting, website development and website optimization. As a Comodo digital certificate customer, Convey2Web recently engaged with Comodo on its new Comodo One management platform. "We needed to put a new remote management and monitoring tool in place – and the Comodo One platform came out as exactly the right time for us, just as we were evaluating other tools. We’ve already started rolling out the free Comodo RMM and Comodo Patch Management features to some of our customers, and it is already making a world of difference for our company. Because this platform was built by MSPs for MSPs, Comodo One is giving us better utilization of our internal resources, freeing up time to focus on additional customer challenges and solve them quickly –and, we’re saving money because it is all free. We can now move our break fix customers to a managed services model that will generate new revenue streams for us. We look forward to a very long relationship with Comodo and helping them to continue to make Comodo One a success for all." Where can I find a guide for Comodo Patch Management? Can I patch third-party applications? How do I remove an endpoint from Patch Management? Comodo One Network Assessment Tool creates a list of findings and highlights issues and anomalies. It recommends possible solutions that could become new projects. What is the "Patch Management Server? Did you find this article about Patch Management helpful?